Grow your business with sales automation. Send Bonjoros using your Gmail account. Connect to the popular CRM. Send Bonjoros from your Microsoft account. Send Bonjoros from your personal email account. 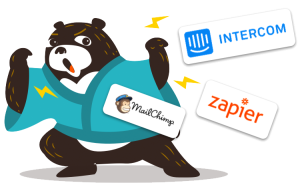 Connect Bonjoro to over 750 apps with Zapier.